Like Crazy writer/director Drake Doremus has developed a reputation for crafting intimate and engrossing relationship dramas using his signature improvisational style, and for his next project the filmmaker plans to apply his talents to the sci-fi genre. I spoke with Doremus earlier this year at Sundance where he premiered his excellent new drama Breathe In, and the director noted that he planned on venturing “into the futuristic, semi sci-fi love story land,” but utilizing his improvisational style. Now Deadline reports that Doremus is courting Kristen Stewart and Nicholas Hoult to star in the pic, titled Equals, for an early 2014 production start date. Plot details regarding Equals are unknown at this point, but Moon scribe Nathan Parker penned the screenplay. Doremus’ shooting style involves improvising nearly every scene, so if Hoult and Stewart sign on, they’ll have a hefty job ahead of them. Hit the jump for news concerning Will Smith starring in a supernatural thriller. Additionally, The Wrap reports that Will Smith is attaching himself to star in the supernatural thriller Selling Time for 20th Century Fox. Penned by Dan McDermott, the story “follows a man who is given a chance to relive the worst day of his life in exchange for seven years off his life expectancy.” An official deal is not yet in pace for Smith to star, but a number of A-list directors are apparently circling the project and firmly attaching Smith would make the film even more of a draw. McDermott is poised to perform a rewrite on the script now, and if Smith signs on things should move forward rather quickly. 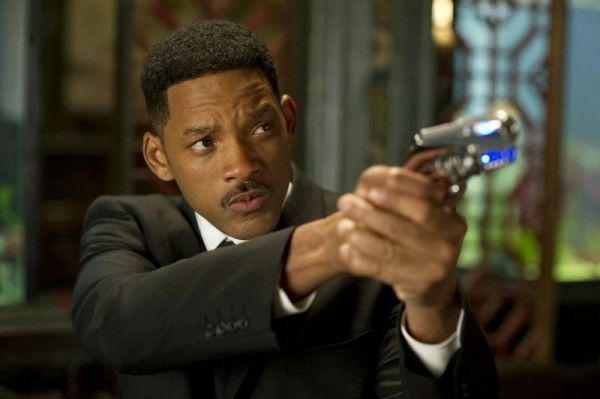 In the wake of After Earth’s lackluster box office performance, Smith has been mulling over future projects. He’s set to star opposite Margot Robbie in Focus and is attached to a reboot of The Wild Bunch, but he’s also considering a reprisal in the gestating Independence Day sequel.